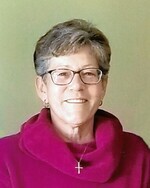 Paulette Ethier Obituary - Haileybury, Ontario | Buffam Leveille Funeral Home Ltd.
Ethier, Paulette Eva - With profound sadness the family announces the death of Ms Paulette Ethier at the age of 59 years. Paulette passed away peacefully at the Temiskaming Hospital on Tuesday December 11, 2018 with her loving family by her side. Born in Haileybury on July 5, 1959, Paulette is the daughter of the late Rodolphe Ethier and the late Rolande Daviau. She is survived by her loving and devoted husband Joe Desrosiers; her loving children Lorraine and her husband Ken Lambert, Ore-Anne Renaud, Brian Renaud and David Renaud. Paulette is the cherished grandmother of Bailey, Jasmine, Abbygail and Naomie. Also surviving are her brothers Robert (Annette) Ethier, George (Liliane) Ethier, Jean Guy (Nicole) Ethier, Marc (Melody) Ethier; her sister-in-law Suzanne Ethier as well as nieces, nephews and extended family members. Paulette is predeceased by her parents as well as her brother Gilbert Ethier. In keeping with Paulette's wishes cremation has taken place and a private family service has been held. As an expression of sympathy donations in Paulette's memory can be made to the Beverly Ann Borrows Palliative Care Unit at the Temiskaming Hospital [421 Shepherdson Rd, New Liskeard, ON P0J 1P0]. Condolences may be left at www.buffamleveille.com.